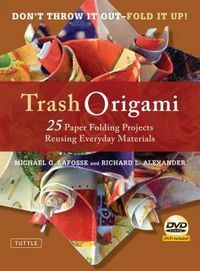 12 step-by-step animal origami projects for children, including paper to make them with. 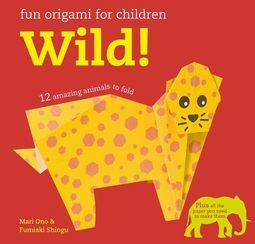 Suitable for children from age 5 and upwards, Mari Ono's animal origami projects are the perfect introduction to paper-folding for kids. Including a lion, zebra, snake, elephant and monkey, all the projects are fun to make and play with, and there are amazing animal facts throughout, so children can learn while they craft! There are simple step-by-step instructions and clear photographs, as well as helpful arrows showing where to fold. Each design has a skill rating, so children can start with an easy one and then move on to something a bit more challenging until they are easily impressing friends with their paper-folding skills! 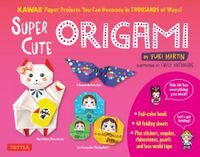 Specially designed pieces of origami paper are included with the book, so children can start making their magnificent menagerie straight away.